Akiva Hebrew Day School (formerly Congregation Beth Achim), Southfield, MI. MSGC 98.0008. 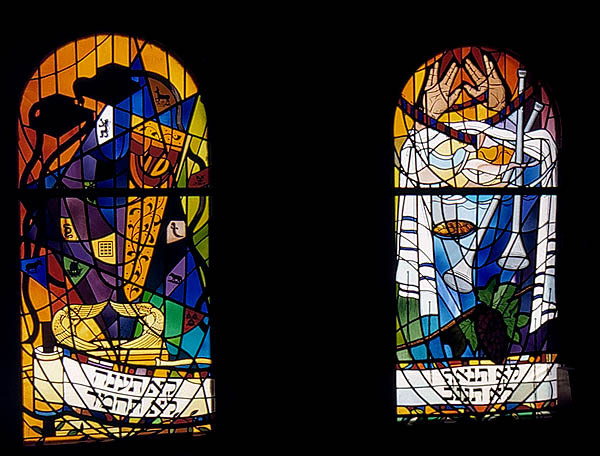 Vera Sattler was born in West Berlin, Germany and immediately after World War II, had a 3-year apprenticeship in designing and painting stained glass. She then came to Michigan in 1951 and attended Wayne State University in Detroit where she received a B.S. degree in art. By 1964 she went to work for Detroit Stained Glass Works where she was very involved in the restoration of older windows. 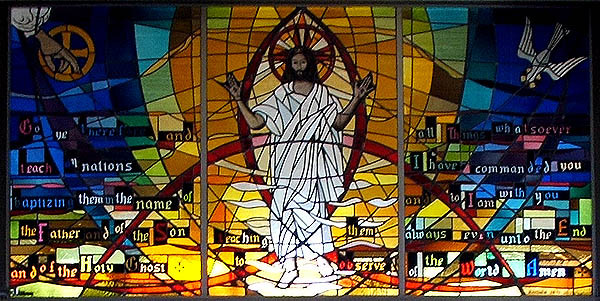 After this studio closed in 1970, she started her own studio where she designed church windows that were for the most part fabricated by the Steven Frank (West) Studio in Livonia, MI under the ownership of longtime glass man Leo Weeg. Many of these churches have been documented for the Michigan Stained Glass Census. The wide variety of religious bodies represented is very indicative of the range of Sattler's rich background in religious iconography: Catholic (Irish and Polish), Episcopal, Greek Orthodox, Jewish, Lutheran and Romanian Orthodox. 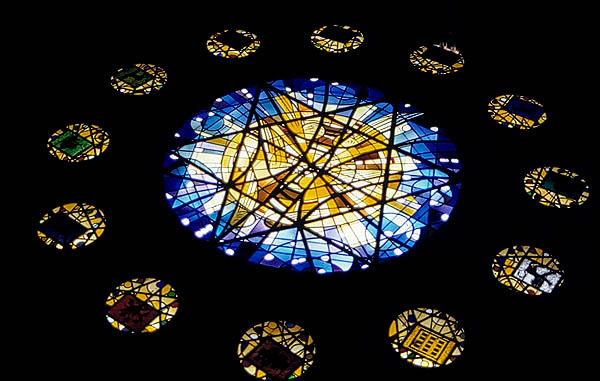 Sattler has also done some non-liturgical work, specifically a memorial window at the Mardigian Library of the University of Michigan-Dearborn. St. Matthew Lutheran Church, Westland, MI (windows completed 1982-1999). Registered by Shirley Luckwald of Westland. MSGC 97.0134. Mardigian Library, University of Michigan - Dearborn, MI (window completed ca. 1983). MSGC 97.0130. In addition to stained glass work, Vera Sattler has worked in a variety of media including copper enameling, slumped and fused glass, pen and ink, watercolors, collages and acrylic painting. She has taught some of these media for the Birmingham-Bloomfield Art Association and at St. Clair College in Chatham, ONT, Canada. Sattler's artwork has been exhibited in many Michigan juried shows. 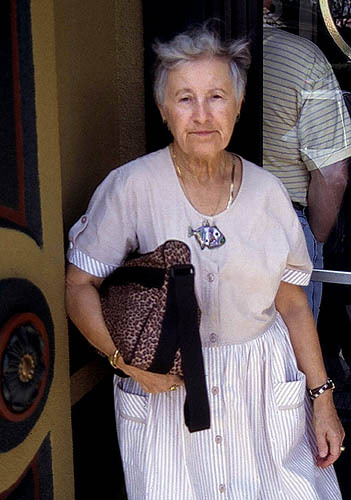 Since the mid-1980s when her husband retired, she has been very active in the art community of Florida, where she now lives. Her work is shown exclusively in the Gingerbread Square Gallery in Key West, FL. 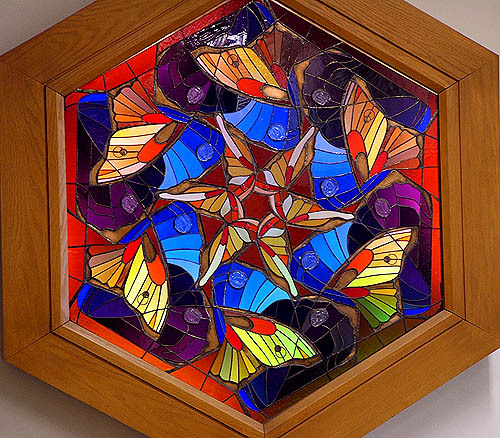 Even though Vera Sattler has moved away from Michigan, her spirit lives on in the marvelous stained glass of all the churches and other buildings where her work is located. Vera Sattler. Interview with author, Spring 2005. Text by Barbara Krueger, Michigan Stained Glass Census, May , 2006.